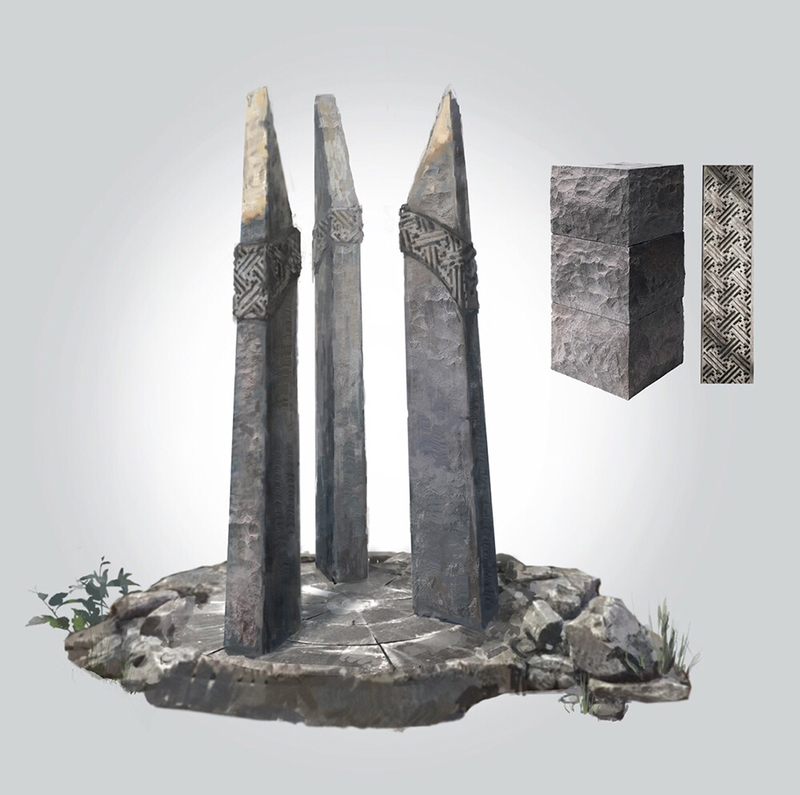 The teleport system is extremely significant element of forming the scale and structure of the realm. There are few principles of common truth, that developers use to create multiplayer virtual worlds. One of them - player should regularly meet other players during the gaming session. The second principle - player should have the opportunity to retire (from other players), especially in the case of open-world games with PvP. Adhering to the first principle, even giants of the game industry, that can afford world as big as they want, expecting huge amount of players, confine themselves to the territory about 150-200 m2. Following the second principle, developers add personal instances for players, where they can not only have a rest from large and noisy company but also build something, carry on farming, develop character, create items and so on. We took a different path. Designing the world of that size (4 continents about 250 m2), we completely removed the opportunity to spend the time at personal instances whereas players still can generate wealth or develope characters. Moreover, we removed group (including raid) instances (dungeons). On the other hand, we offer our players to scatter across the map, find a spawn of resources or mobs and spend an evening farming it. Cities, castles, rich and stable respawns, processors and other points of interest are intended to bring players together. 1)Is the MMORPG walking or running simulator? Obviously, this is a rhetorical question. 2)Whether the developer is entitled to make players run about 30-40 minutes from point A to point B in order to commit ordinary actions? These issues are enough to figure out - there is a need for teleports in the game. How does it work? Let’s get this sorted out. No ticket - No trip! Teleportation token (hereafter abbreviated - TT) is a ticket leading character to a specific location, indicated on the token. Token is disposable. TT could lead to other city, castle or some place on the map. TT does not always lead to the place indicated on the token. Exception is the use of tokens inside the broken or unstable teleports. Instead of the quiet city indicated on the token you can be sent to hell. Not requiring TT teleports lead to specific location. This may be either some area or event territory but we will get back to that a little bit later. Token-purse is the space available to store the TTs. You will need it because there will be a lot of them. It would be a special container including multiple tabs where every player can place and structure the tokens at his/her convenience. Teleports will be installed in every city and even in many villages to enable to leave locality if something goes wrong. Special NPC will be selling TTs to localities. You can find them in any settlement. Prices and range of TTs depend on the remoteness of this NPC from destination indicated on the token. The cheapest TTs are the tokens to the city where you are buying them. You will pay more for the token to the city which is located in neighbouring county. To buy a token even further you will need to attend auction and purchase a token from other players or go on a trip (using teleports or own two feet) closer to the destination. First of all, every castle has teleport. Using it castle owner can teleport to a wider range of territories rather than using city teleports. In addition, you can teleport directly to the castle only if you have castle teleport. However these tokens could be created just in the armory of the castle. That means to get TT for teleportation to a certain castle you need to own this castle, at least part of the time. The number of castle TTs is determined by the grade of castle supply. It should be reminded that dying in a castle player will respawn at best in the closest city, in the worst on neutral ground (read as - on the fringes of the world). It depends on their karma. That’s why castle TTs are really strategic resource. The number of TTs has influence on the speed of getting back in the game after death. According to the number of TTs for attackers reinforcements arrive faster in an attack or vise versa. Without TT both would have to walk to the battlefield after respawn or use nearby city teleports or portals in open world. Anyway, the time spent on getting back in the fight with TTs for certain castle will differ in ten times from the time without TTs. In this form mechanics creates a wide latitude of game scenarios: it could be double agent handing TTs over. Or player can use tactic of keeping TTs directly at the moment of the siege to hold the castle. It is also acceptable to give TT deliberately the other guild. Especially if this guild can definitely take the castle in order to revenge. Everything is up to players. Besides city and castle TTs there also will be TTs that send players to certain coordinates in open world. These TTs could help someone to reduce journey time on the route to favourite respawn or some guild on the route to a castle, in case they don’t own castle TTs or make a strategic decision to attack enemies from the rear. Wandering traders will be selling these TTs, so pay attention to each of them. You could find rare and valuable TTs. In this part of the article we consider teleports not requiring tokens. 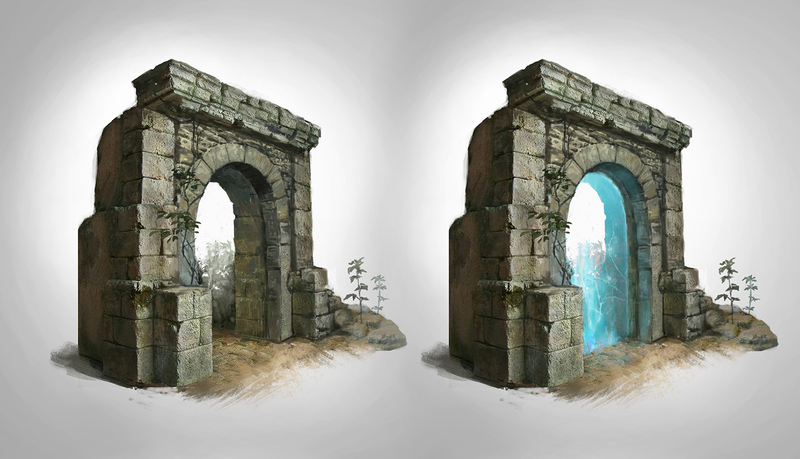 These teleports are located in open world and lead to a certain place on the map. Players couldn’t get it another way. 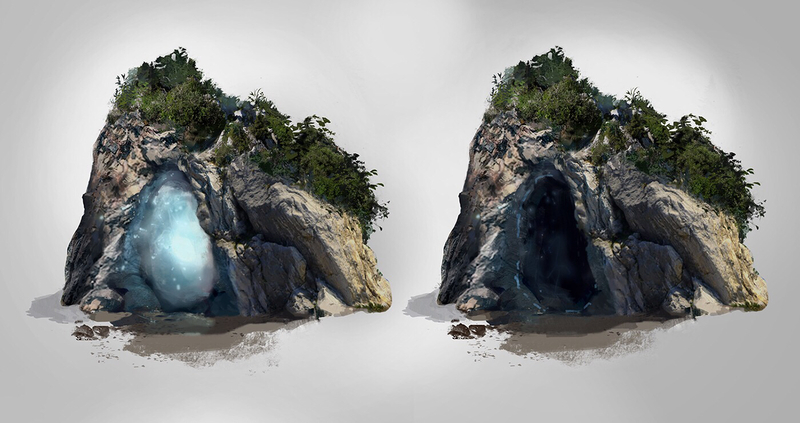 Mysterious teleport, for example, that leads to equally mysterious island of Drowned. Player can get out only through a drowning on the shores. Is it worth it? We’ll see. Teleportation between different parts of the world would be possible but seriously restricted. To teleport on the other continent player have to be a member of the guild that owns castles on departure and arrival territory and a castle on the territory of the royal county. Also you need to teleport exactly in that order - departure castle, royal county castle, arrival castle, through the county. Player can teleport to the required city from the castle on the continent of arrival. All other players have to use more common ways to travel between continents. Let’s return to the subject of teleports that do not require TTs. First of all, it would be teleports opened during special events. Some of them would be opened only for a few minutes, the other would be more stable. 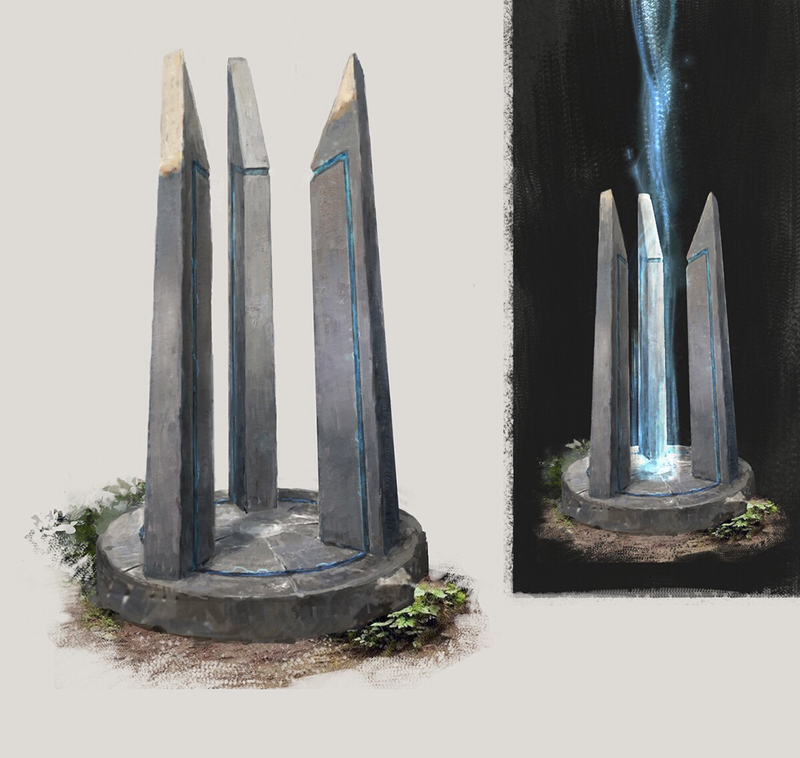 These teleports could appear anywhere in the world and in front of any player. Where does it lead? Perhaps you would teleport to the respawn of a powerful boss or you could get the heavy burden of responsibility for the world quest with mysterious outcome. Perhaps you would be caught in crossfire of fighting guilds or you would try boss’ shoes for a while and half of the server would wish to kill you. Everything is yet to be uncovered. Active discussions are under way on the issue of restriction for teleportation with resources on board. We are also value your opinions so loin our forum and share your thoughts.